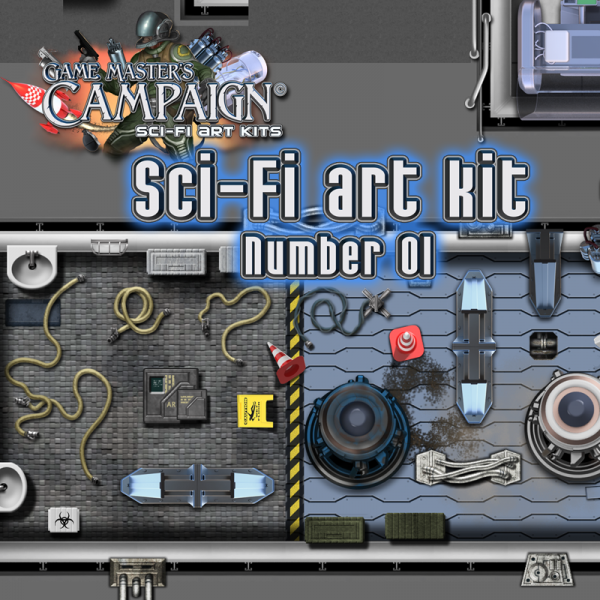 The Sci-Fi art kit contains top-down modern/futuristic looking images, top-down view. The files are .png with transparency, all files come in only 1 size, unlike the previous fantasy art kits which comes in 3 various sizes. This first Sci-Fi themed art kit does not contain any character or creature tokens, upcoming future Sci-Fi art kits will feature character and creature tokens and more. 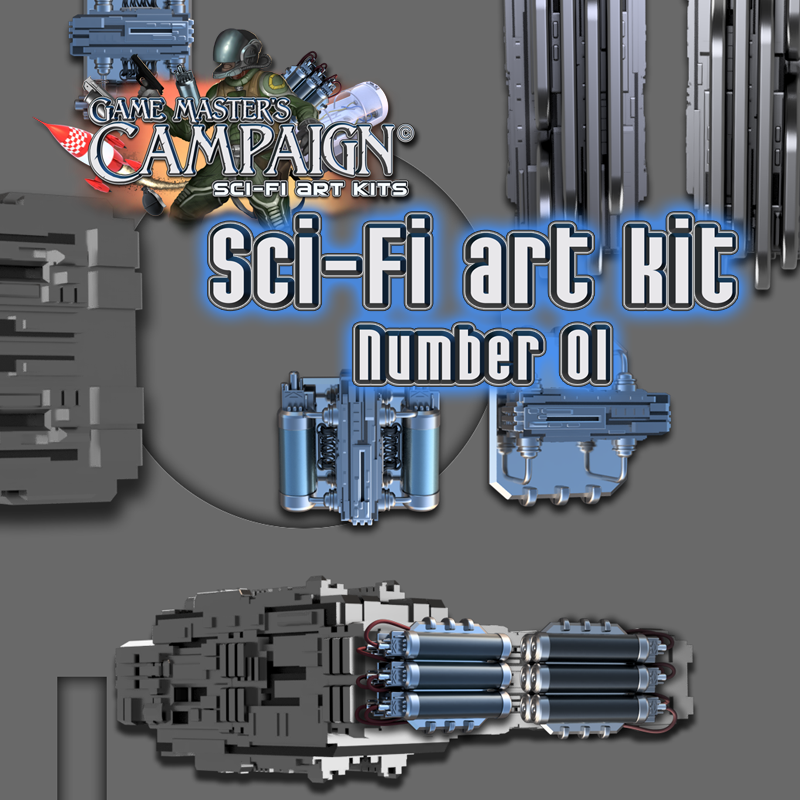 Upcoming Sci-fi themed art kits will be made with the same scale as the artwork found in this art kit. 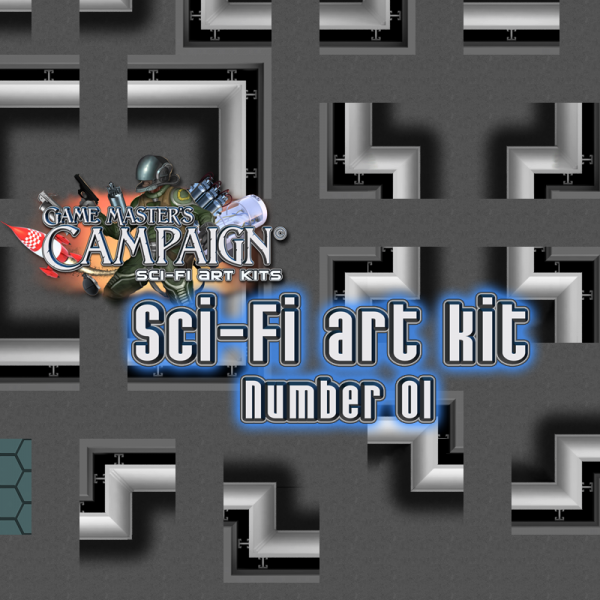 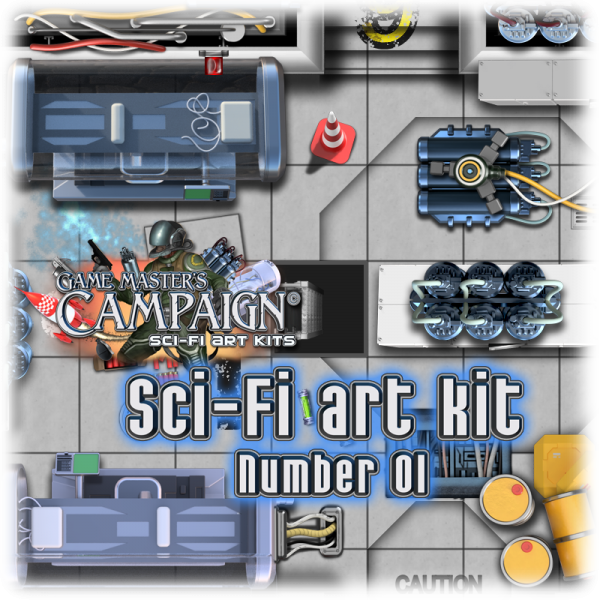 This art kit is compatible with mainly GMC Sci-fi art kits, but can also be used with GMC Fantasy art kits, regarding scale. In total there are approx 1200 images in this art kit, see content list below. This purchase is for a digital download of several images, approximate size is 27 Mb in a zipped file.